Place all the ingredients in a thick bottomed pan. Bring to simmer, blend and sieve. I add 1/4 tsp freshly crushed black pepper at the end of the freezing process. The combination of the sharp fresh fruit and the subtle hot pepper , works wonderfully. 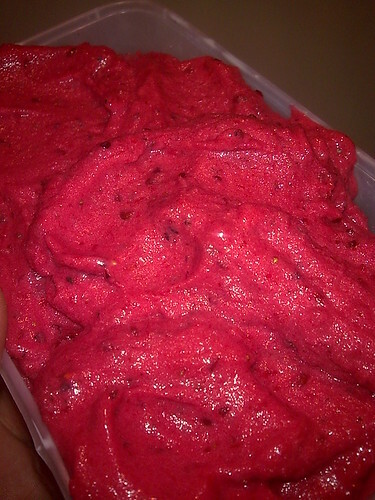 Sorbet… that’s like frozen? in January! Brrrryumyum!